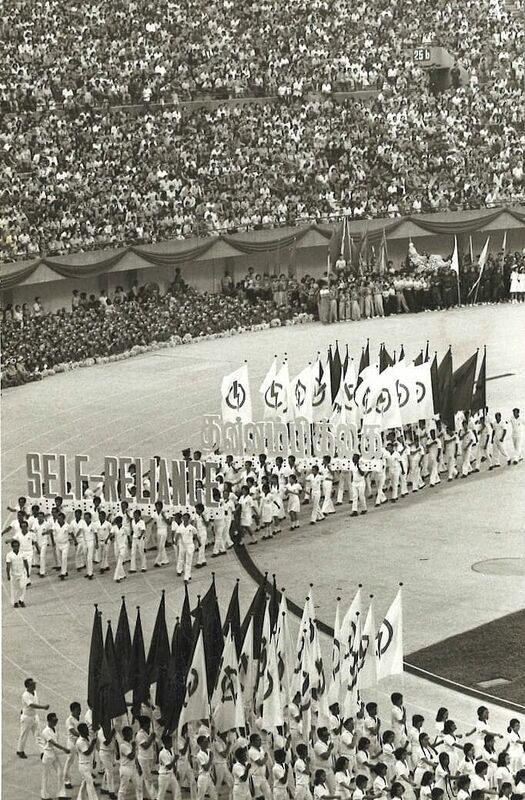 SINGAPORE - The former National Stadium, the Grand Old Lady of Kallang, hosted 18 National Day Parades between 1976 and 2006. 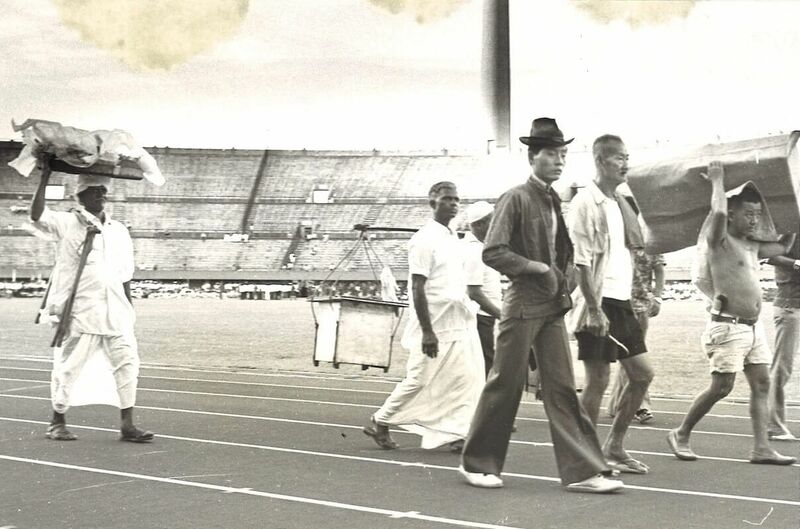 Ahead of this year's NDP, the first to be held in the new National Stadium at the Sports Hub, we take a look at five of the most memorable ones held at the former landmark. 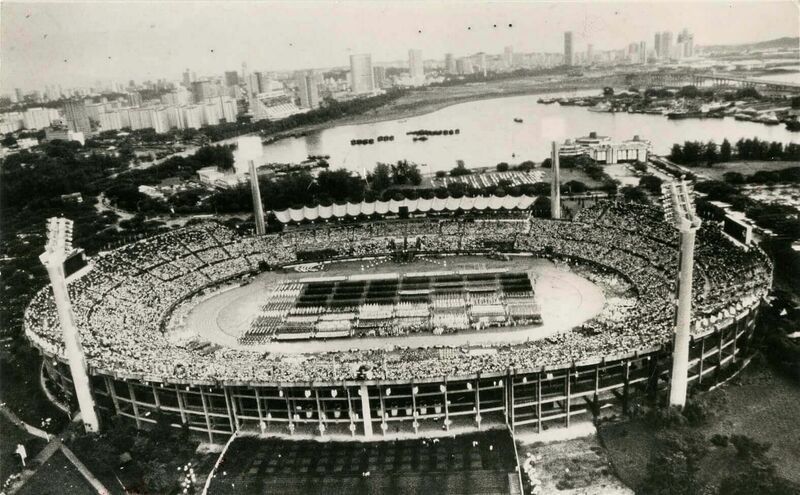 The National Stadium was officially opened in 1973 and hosted its first NDP three years later. 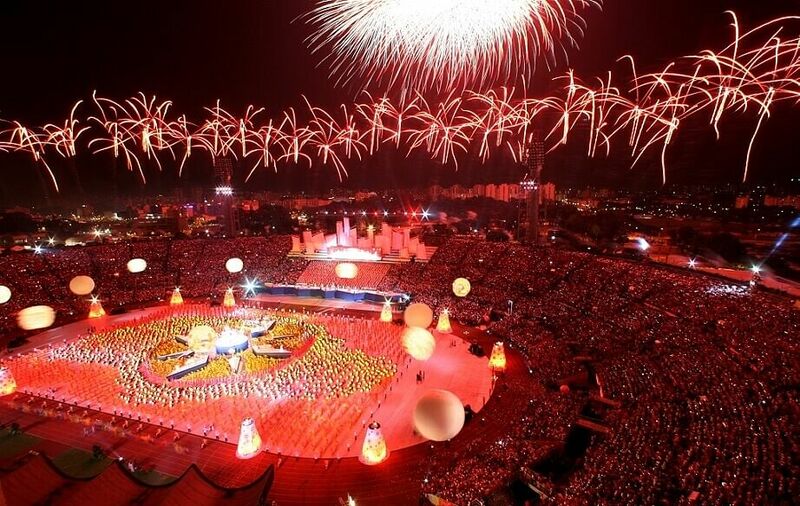 It had already seen boxing great Muhammad Ali fight but even The Greatest could not match the show put on by the 12,000 young men and women who "presented for all the world to see a colourful and exciting portrait of a vibrant but disciplined Singapore", reported The Straits Times. And that show was watched in comfort by more than 65,000 spectators seated at the stadium terraces. In previous years, "one had to jostle and crane one's neck so as not to miss the action", New Nation said. As then President Benjamin Sheares inspected the Guard of Honour, a thunderous 21-gun salute rocked the stadium. A flypast thrilled the crowd and twinkle-toed dancers from schools charmed them. The splendour was not confined to the stadium. Sixty-four marching contingents, led by the 1st Commando Battalion, took to the streets along a 6km route that was lined with thousands of spectators clamouring for space while others peered from flats. The procession even had a 21m replica of a Singapore Airlines jumbo jet, complete with stewardesses flashing smiles and blowing kisses. A big, bright, beautiful birthday cake, complete with colourful icing and candles. That was what the National Stadium - packed to the gills for Singapore's 15th National Day - looked like from the air. A photograph of the sight was splashed across both the front and back pages of The Sunday Times the day after. 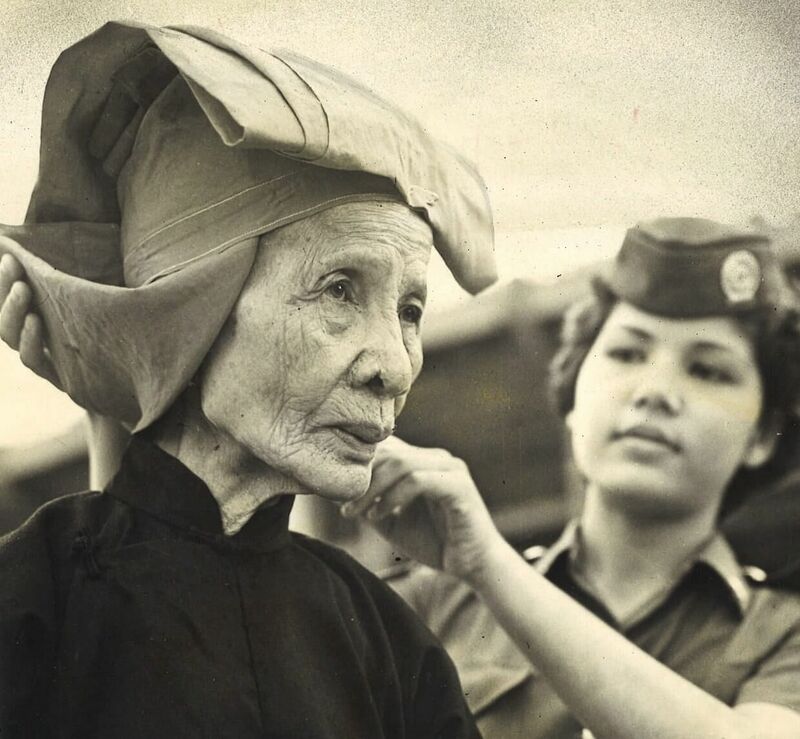 The face mask vendor, the movie man, the wooden stool seller - trades labelled "vanishing" in 1980 and which have since disappeared - were among those featured in a parade that celebrated the past. Also spotted in the tableau were samsui women, vintage cars, sedan chairs and Boat Quay labourers. But the parade also painted a picture of Singapore's future: new F-5E Northrops fighter planes streaking overhead, and happy children and students from schools who "offered reassurance that Singapore's future is in good hands". 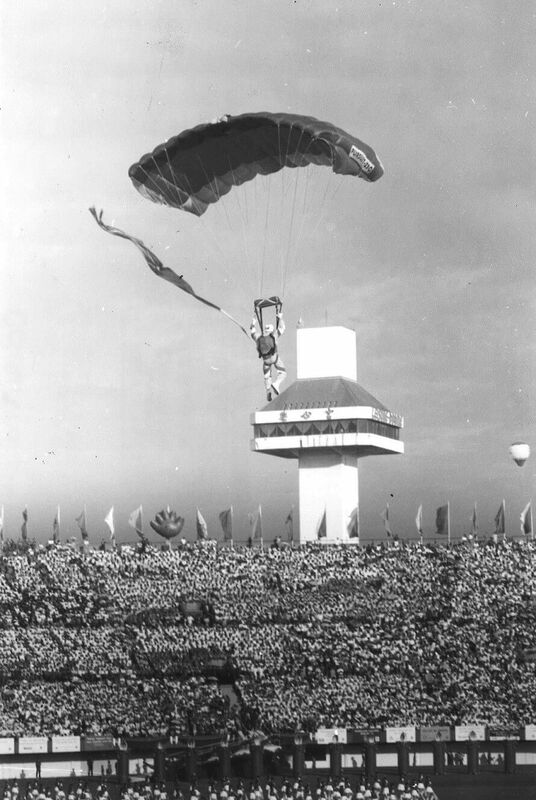 Spectators at this NDP were treated to fireworks in the day, in what was Singapore's first ever attempt at the display. A string of 20 successive smoke patterns took the shape of chrysanthemums and willows. One member of the audience called the colourful smoke "eye-catching", while others were not convinced. "The fireworks could hardly be seen. There were only a few sparks," said another viewer. That was just one of the parade's surprises; another was much better received. What looked from the ground like specks wafting lazily down in the sky was actually 24 free-falling commandos rushing down at 190kmh. With streamers strapped to their legs, the jumpers deployed their gold, red and blue parachutes at staggered intervals to form a descending trail in the sky. 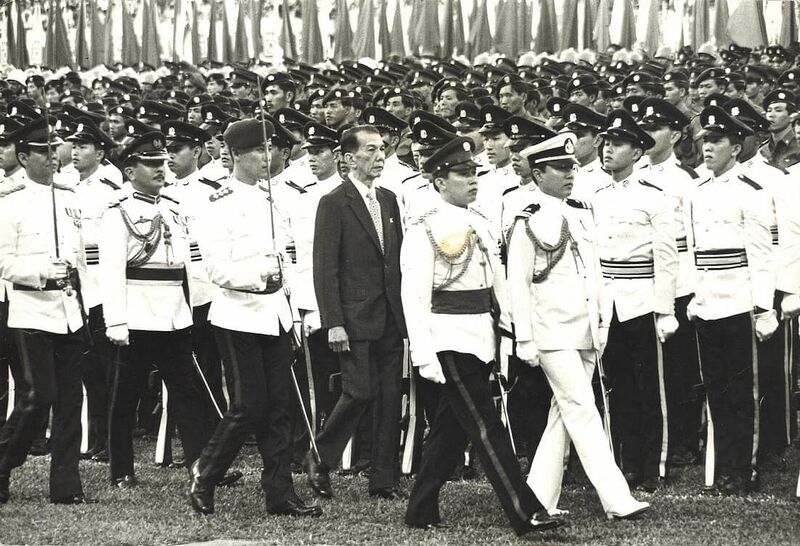 Also worth mentioning was what was described as the quiet courage of then President Wee Kim Wee, who smiled and waved to the crowd as he stood up throughout his presidential drive past, despite having undergone several major operations in the months before. National Stadium or the Padang? 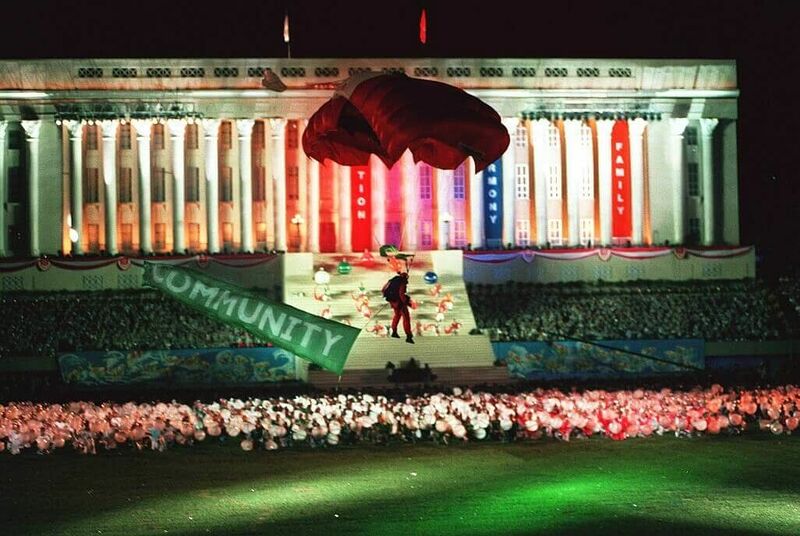 At the parade in 1998, spectators got both rolled into one, with organisers building a two-third-scaled replica of City Hall in the National Stadium. Taking to the stage was Kit Chan in a resplendent burgundy gown, who belted out the now iconic National Day song Home, which was making its parade debut. 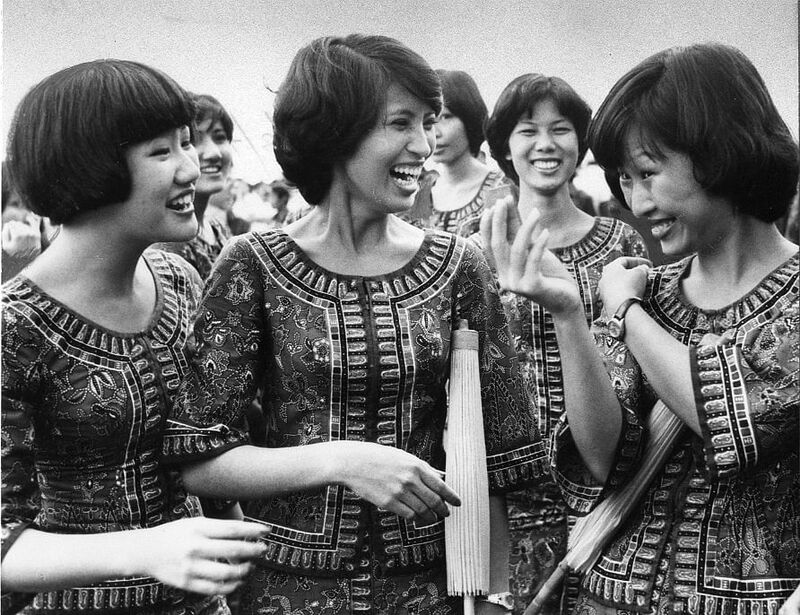 There were two National Day songs that year, but City For The World has not lingered in Singaporeans' hearts quite as long as Home has. It was colour that caught the eye. 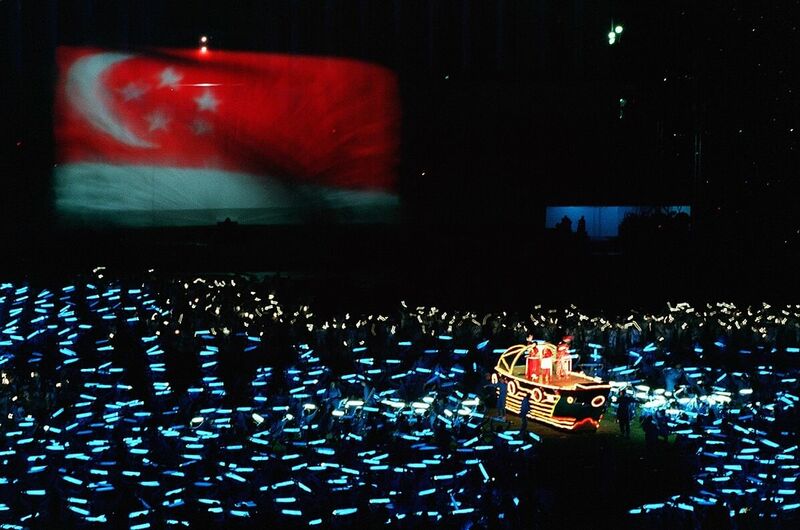 Newspaper reports described its "amazing technicolours" as performers, in four segments, told the Singapore story as exemplified by the Singapore River. And of course, the parade came complete with six parachutists gliding into a gentle touchdown, five super Skyhawks executing a perfect starburst formation and a multi-coloured fireworks display. The stadium had played host to some of the world's best football teams and biggest rock stars but it would have been hard to beat this final party for spectacle. 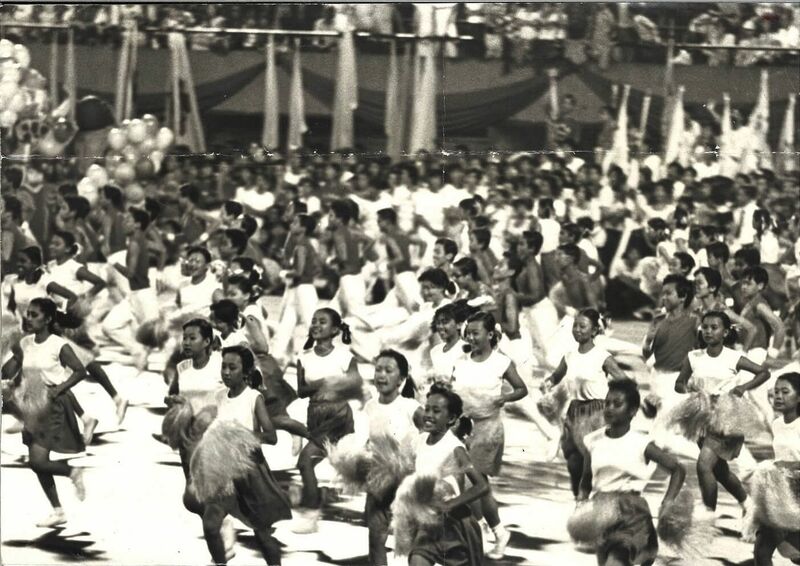 The last NDP to be held in the old National Stadium saw 55,000 spectators singing, dancing and cheering their hearts out, having come from all across the island and even from overseas. Highlights included four heliospheres, or big balloons, from which acrobats dangled, army contingents forming "2006" as five F-16s fanned out overhead and low-level fireworks during the parade, before the traditional finale. 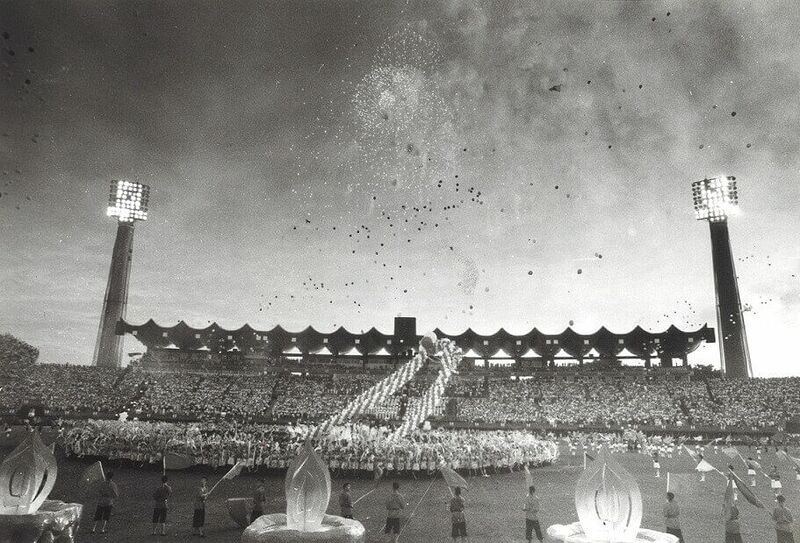 But it was a bittersweet affair for many, with a number of spectators sharing their memories, accumulated over decades, of the stadium. Follow the latest NDP 2016 news here at str.sg/ndp2016.